Eurocom announce that the performance line mobile graphic card, Nvidia GeForce GTX 660M Kepler 28nm based is already available on it's Mobile Workstations and High Performance Notebooks. 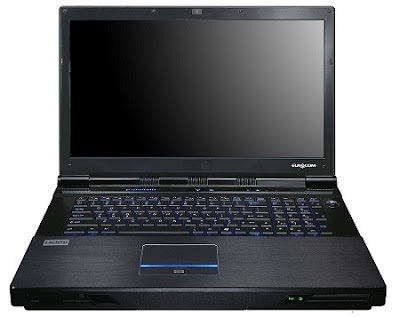 The GeForce GTX 660M is installed on both mobile SLI and single GPU configuration offering a high end performance edge on the latest Eurocom laptops, the GeForce GTX 660M pack 384 CUDA cores, a core clock speed set to 835 MHz, connected with 2 GB of GDDR5 video memory running @ 2,000 MHz using a 128-bit memory interface, the result is 30.4 billion per second and 64.0 GB/s memory bandwidth, bellow what Eurocom think about the new products. "NVIDIA's Geforce GTX 660M will offer extreme professional capability, gaming and CUDA development performance for our customers. With 384 CUDA cores the GeForce 660M is ideal for Gamers, Professionals and CUDA development which enables the GPU to solve complex computational problems in business and technical applications for utilization within the Eurocom notebook line," explains Mark Bialic, President of Eurocom.